An Indian national on death row in Pakistan, who was sentenced 16 years ago for espionage, has died of his injuries after being attacked last week by fellow inmates, his lawyer said Thursday. Sarabjit Singh, who was convicted over deadly bombings in 1990, died at 1:00 am local time (2000 GMT Wednesday) after lying in a coma for the last five days, a senior doctor at Jinnah hospital in the eastern city of Lahore told AFP. Singh’s lawyer Owais Sheikh confirmed the 49-year-old’s death and said his body had been moved to the hospital mortuary. The doctor said arrangements were under way for an autopsy. Singh suffered multiple serious injuries when six prisoners attacked him on April 26 at Lahore’s Kot Lakhpat Jail, hitting him on the head with bricks and fracturing his skull. “His condition was more than critical and he had (little) chance of survival,” Sheikh said. The lawyer has said his client received threats following the execution of a Kashmiri separatist in India. Mohammed Afzal Guru was hanged in New Delhi on February 9 for his part in an Islamist attack on India’s parliament in 2001. A portrait of Sarabjit Singh at Chabhal near Bhikiwind, Punjab state, dated August 24, 2005. Sentenced to death in Pakistan on charges of spying, the Indian national has died of his injuries after being attacked last week by fellow inmates, his lawyer says. Singh was convicted for his alleged involvement in a string of bomb attacks in Pakistan’s Punjab province that killed 14 people in 1990. His mercy petitions were rejected by the courts and former president Pervez Musharraf. His family insisted he is merely a farmer who became a victim of mistaken identity after inadvertently straying across the border while drunk. Four members of Singh’s family — his wife, two daughters and his sister — who travelled to Lahore on Tuesday have since returned to India, according to the Press Trust of India (PTI). PTI cited authorities as saying that the family had asked for Singh to be cremated with full state honours, and that the government would meet on Thursday to consider the request. The Human Rights Commission of Pakistan (HRCP) condemned the attack on Singh as a “dastardly act” and called on the government to conduct a thorough inquiry into the matter and punish those found guilty. Indian Border Security Force soldiers check the passports of family members of Sarabjit Singh, at the Indo-Pakistan Wagah Border Post on May 1, 2013. Singh, an Indian death row prisoner in Pakistan, was attacked by fellow inmates last week and has since died from his injuries. “The authorities have obviously failed to do their elementary duty” of providing him safety and security, the commission said in a statement. A senior official in Delhi said earlier this week that diplomats from the high commission in Islamabad were not allowed to visit Singh in hospital, and had also complained about a lack of information on his condition. The Pakistan foreign ministry however insisted Indian diplomats in Lahore were given access to Singh on two occasions. The attack made front-page news in Indian newspapers, with Indian television stations running frequent updates on his condition and Prime Minister Manmohan Singh describing it as a “very sad incident”. Pakistan last year released an Indian man who had served three decades in a Pakistani jail on espionage charges. Muslim-majority Pakistan and Hindu-majority India have fought three wars since the division of the subcontinent in 1947, two of them over the Himalayan region of Kashmir, which is divided between them and claimed by both. The Peshawar High Court (PHC) on Tuesday banned former military ruler Pervez Musharraf from politics for life. The ruling came in response to an appeal filed by the former army strongman over the rejection of his nomination papers for the National Assembly seat in Chitral. A four-member larger bench, headed by PHC Chief Justice Dost Mohammad Khan and comprising of Justice Malik Manzoor, Justice Syed Afsar Shah and Justice Ikramullah ruled that since Musharraf had abrogated the Constitution twice, he could not be allowed to contest elections for either the National Assembly or the Senate. Announcing the decision, Justice Khan said Musharraf had imposed an illegal emergency and targeted the judiciary, therefore the court was imposing a life-time ban on the retired general, barring him from contesting polls for the national and provincial assemblies as well as the Senate. The bench also rejected the former president’s appeal over the rejection of his nomination papers from NA-32 (Chitral). Also today, an anti-terrorist court in Rawalpindi ordered a two-week-long judicial remand for the retired general in the Benazir Bhutto murder case and also granted permission to Balochistan police to question him in the Akbar Bugti killing case. 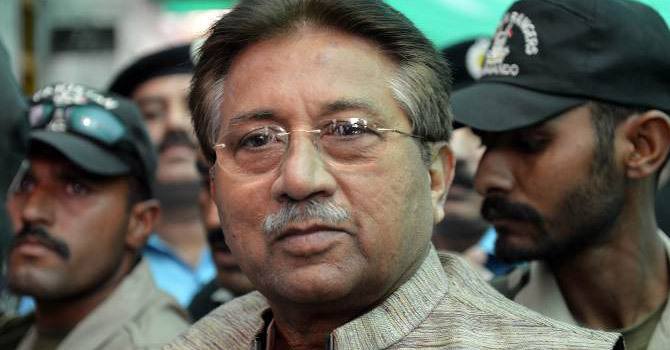 Musharraf was not presented in court during Tuesday’s hearing over security reasons. Speaking to media personnel after the hearing, FIA’s special prosecutor Chaudhry Zulfiqar Ali alleged that Musharraf was not cooperating with the investigation team in the Benazir murder case. Earlier last week, the court had sent him on a physical remand. Since then, FIA investigators have been questioning the former military ruler in the high profile murder probe. Moreover, an anti-terrorism court in Rawalpindi rejected Musharraf’s plea for reconstitution of the joint investigation team (JIT). Benazir Bhutto was assassinated in a gun-and-bomb attack outside Rawalpindi’s Liaquat Bagh on December 27, 2007 while Musharraf was president. She was killed after addressing an election campaign rally in the city. The ATC had indicted Musharraf in the case in February 2011, and in August the same year he was declared a proclaimed offender and his property was attached because of his absence. Also today, the ATC allowed Balochistan police to question Musharraf in the case pertaining to the killing of Baloch nationalist leader Akbar Khan Bugti. Bugti was killed in a military action in the mountains of Dera Bugti on August 26, 2006 while Musharraf was president as well as army chief. Musharraf returned to Pakistan last month after nearly four years of self-imposed exile to contest the May 11 general election. Election officials had barred Musharraf from running for the National Assembly earlier, effectively derailing his attempts to regain a place in politics by standing at the polls. Although Musharraf’s legal battles have provided an electrifying sideshow in the election race, he commands scant popular support and the outcome of the drama is unlikely to have much impact on the final results. Malala Yousafzai, the Pakistani teenager shot in the head by the Taliban, has returned to school for the first time since she was targeted. The 15-year-old joined other girls at Edgbaston High School for Girls in Birmingham for her first day back at school on Tuesday, said Edelman, the public relations agency handling her media relations. Malala was airlifted to Britain for treatment after Taliban gunman shot her on Oct. 9, while on her way home from school in northwestern Pakistan. The militant group said it targeted her because she promoted ‘‘Western thinking’’ and criticized the group’s behavior when it took over the scenic Swat Valley where she lived. The shooting sparked outrage in Pakistan and many other countries, and her story has captured global attention for the struggle for women’s rights in her homeland. Malala was released in February from the hospital that was treating her for her injuries. Doctors said she was recovering well after receiving skull reconstruction and cochlear implant surgeries. ‘‘I miss my classmates from Pakistan very much, but I am looking forward to meeting my teachers and making new friends here in Birmingham,’’ she added. The teenager is expected to remain in the U.K. for some time as her father, Ziauddin, has secured a post with the Pakistani Consulate in the English city of Birmingham. Ukraine will deliver 110 tank power plants – engines and related parts – to Pakistan under a $50 million contract, state-run arms exporter Ukrspetsstroi said on Monday. The power plants will be manufactured at the Kharkov-based Malyshev Plant, a state-run enterprise specializing in armored vehicles and their components, under a four-year contract that was signed “several days ago,” Ukrspetsstroi said in a statement on its website. It did not provide any technical specifications. Ukraine previously delivered more than 300 power plants to Pakistan for its al-Khalid main battle tank, Ukrspetsstroi’s acting deputy general director Vadim Kozhevnikov said, adding that Ukraine also supplies tank engines to China. The statement cited Kozhevnikov as saying he believed Ukraine is in a good position to compete with the world’s leading tank power plant manufacturers, in particular Germany. “We are direct competitors of German engine manufacturers. Our models are every bit as good as theirs in terms of technical characteristics but are significantly cheaper,” Kozhevnikov said. “When the U.S. went into Kabul, things became bad for everyone. But we are safe here. The army protects us,” says Shaan Masih, who helps clean the church and likes to play the drums and sing carols. “It was a longstanding demand of the community to be given a proper space,” Col. Atif Ali, a military officer, told Reuters during a rare trip to the region arranged by the military. While Christians elsewhere in the country are lowering their profile, community members here mix freely with their Muslim neighbors. Their children attend the same schools and neighbors go to each others’ weddings and funerals. Masih was eventually cleared of the charges, but many of her neighbors fled their homes and her family is still in hiding. Nine Christians were killed after a similar accusation in 2009 and mobs frequently lynch anyone accused of blasphemy before they can get to court. 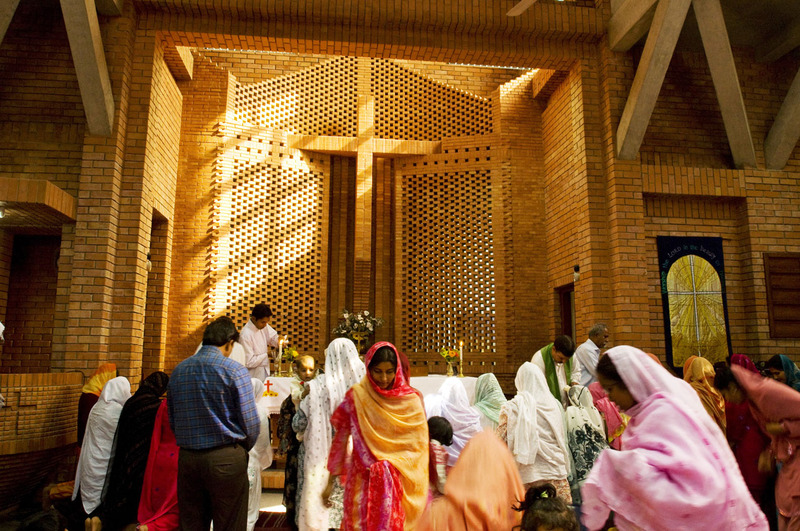 But the main reason, says pastor Alam, is their trust in their neighbors, ordinary Muslims who are also living under the shadow of war. The five remaining members of a group of Taliban militants who carried out a daring attack on a Pakistani airport on Saturday have been killed in an ensuing operation conducted by police and the army, local media reported. Ten men from the Tehreek-e-Taliban Pakistan (TTP) tried to breach the security perimeter at the Bacha Khan International Airport in Pakistan’s northwestern provincial capital of Peshawar late on Saturday using rocket-propelled grenades, automatic weapons and two cars laden with explosives. 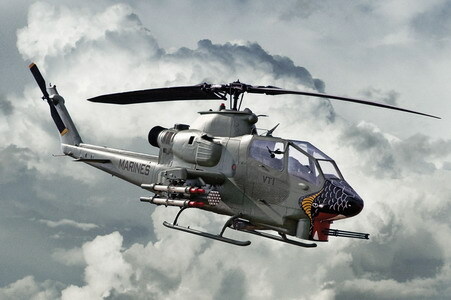 Five of the militants were killed during the attack while the other five holed up in a house under construction in Pawaka village, located near the airport. Pakistan’s Geo News television cited security sources on Sunday as saying that three remaining militants were killed in a prolonged gun battle with security forces and two others blew themselves up. A policeman was killed in the firefight with militants on Sunday while at least four civilians died and over 40 people were wounded in the initial attack on Saturday. The source, who is a local doctor, said at least 38 injured and three dead had been brought to his hospital after the attack. More victims could have been brought to other medical facilities. “Some of the critically injured had head injuries and have been shifted to other hospitals because neurosurgery facilities are not available in our hospital,” he said. The Bacha Khan airport is used both by civilian authorities and the military. The militants, who are believed to be Uzbeks, failed to breach the security perimeter or damage equipment on the territory of the airport, the Pakistani military said. Authorities said they had collected DNA samples from the attackers to be sent testing on Monday. The airport was closed after the attack on Saturday night, but reopened on Sunday afternoon. Peshawar has a population of 3.6 million and is located on the edge of Pakistan’s tribal region, which is controlled in large part by the radical Taliban movement. The Taliban was behind a similar attack on the airport of Jalalabad in August, when five Taliban fighters and five security troops were killed.